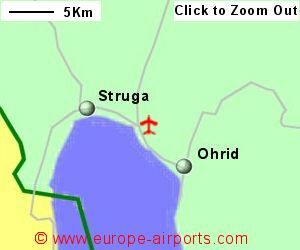 Find and compare the best prices from a range of well known car rental companies at Ohrid Airport. This is a free to use facility, enabeling you to book direct with the company quoting the price. An infrequent bus service had previously operated but does not appear to be running in early 2018. Facilities include a cafe and WiFi Internet access. Ohrid airport handled 159,000 passengers in 2017, a 9% increase from the previous year.